Look at mobile marketing as a way to further boost the performance of your business. Do you think mobile marketing isn’t for your business? Think again. 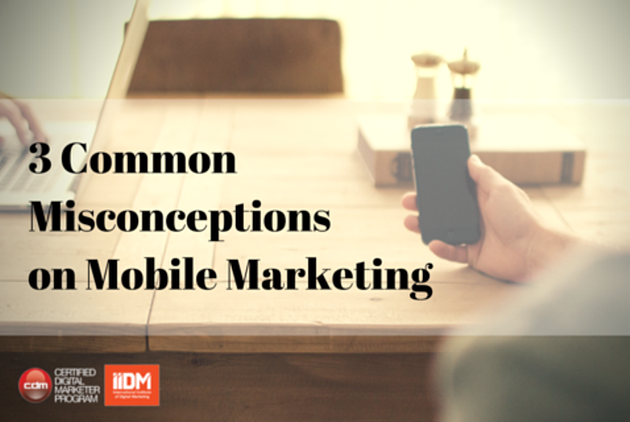 Here are three common misconceptions about mobile marketing. Developing a mobile app, especially one that may require massive data, would definitely cost you an arm and a leg to launch but mobile marketing is more than app creation. If you’re running Facebook campaigns, sending out email newsletters, or strengthening your online presence with a Website, all these marketing efforts should be optimized for mobile—and that’s one act of mobile marketing. Diadra Tabora, Digital Strategist of Mobext Philippines explained in the recent Philippine Association of National Advertisers (PANA) Digital Playbook Seminar (held last August 19th at Max’s Restaurant Greenbelt 1) how consumers have stayed connected through mobile. “When you’re waiting in line or riding a cab, you’re on Facebook. When you’re watching television and it’s on a commercial break, you’re browsing the net,” said Tabora. “Access to Internet has changed market behavior,” she adds. Mobile marketing is an “always-on” campaign, helping marketers reach consumers even on-the-go. Through the years and technological advancement, the mobile phone has become a gadget that’s almost always within a consumer’s proximity. Think about it. When you’re in bed, your mobile device is just a few feet or maybe inches away from you. When you’re down at your favorite café, it wouldn’t be farfetched to see phone after phone after phone on tables while customers chitchat with their pals. Carrying a mobile phone has become a staple. In fact, Synovate research firm surveyed 8,000 respondents from 11 different countries and discovered that most people would rather lose their wallets than their phones. With the cheapest phone going as low as P2, 000.00 or less, all walks of life can be reached through the power of mobile. Reinforce your marketing strategy with mobile in the Certified Digital Marketer Program Mobile Marketing Specialist Track. Class starts on October 17, 2015. Log on to cdm.ph to learn more.